Hart Publishing nuevamente viene con buenas noticias. 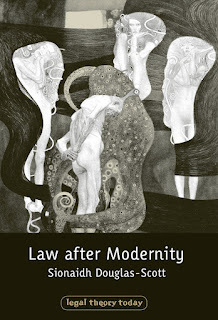 Ahora pone a disposición de los lectores de este blog Law after Modernity de Sionaidh Douglas-Scott. Los lectores de este blog pueden recibir un descuento del 20% si utilizan la referencia "FDDBLOG" y le dan click a aplicar. Law after ModernityBy Sionaidh Douglas-Scott How can we characterise law and legal theory in the twenty-first century? Law after Modernity argues that we live in an age 'after Modernity' and that legal theory must take account of this fact. The book presents a dynamic analysis of law, which focusses on the richness and pluralism of law, on its historical embeddedness, its cultural contingencies, as well as acknowledging contemporary law's global and transnational dimensions. However, Law after Modernity also warns that the complexity, fragmentation, pluralism and globalisation of contemporary law may all too easily perpetuate injustice. In this respect, the book departs from many postmodern and pluralist accounts of law. Indeed, it asserts that the quest for justice becomes a crucial issue for law in the era of legal pluralism, and it investigates how it may be achieved. The approach is fresh, contextual and interdisciplinary, and, unusually for a legal theory work, is illustrated throughout with works of art and visual representations, which serve to re-enforce the messages of the book. Traducción: Como podemos caracterizar el derecho y la teoría jurídica en el siglo XII? Derecho después de la Modernidad sostiene que vivimos en una época 'después de la Modernidad´y la teoría jurídica debe tomar nota de este hecho. El libro presente un análisis dinámico del derecho, que se enfoca en la riqueza y pluralismo del derecho, sus contingencias culturales, al igual que en el reconocimiento de las dimensiones globales y transnacionales del derecho. Sin embargo, Derecho después de la Modernidad, también advierte que la complejidad, fragmentación, pluralismo y globalización del derecho contemporáneo también puede perpetuar injusticia fácilmente. 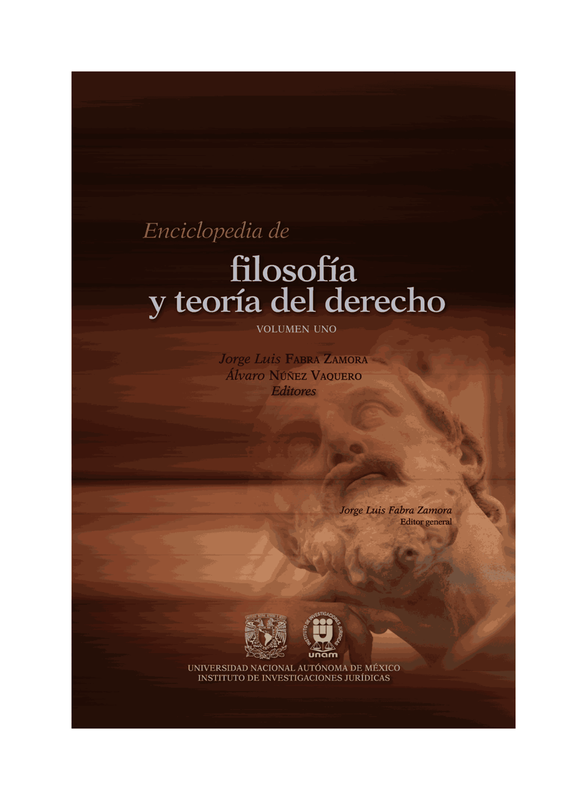 En este aspecto, el libro se aparta de muchas explicaciones postmoderna y pluralistas del derecho. En realidad, afirma que la búsqueda de justicia se vuelve un asunto crucial en una era de pluralismo jurídico e investiga como puede ser alcanzada. La aproximación es fresca, contextual e interdisciplinaria, y de forma inusual para un libro de teoría jurídica, está ilustrada con trabajos de arte y representaciones visuales, que sirven para recalcar el mensaje del libro. THE AUTHORSionaidh Douglas-Scott is a fellow of Lady Margaret Hall and Professor of European and Human Rights Law at the University of Oxford. Professor Douglas-Scott was born and grew up in Edinburgh. She studied philosophy, art history and aesthetics before taking a degree in law. Before coming to Oxford, she was Professor of Law at King's College London. She is a barrister and a member of Gray's Inn. Sionaidh Douglas-Scott works primarily within the field of EU Public Law and legal and social theory, specializing, in particular, in EU human rights law. 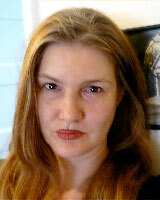 She is the author of the monograph, 'Constitutional Law of the EU', (2nd edition, forthcoming 2013). She has published widely on EU human rights law, including articles on freedom of expression (especially on hate speech), and on the importance of maintaining human rights in the face of EU and national fights against terrorism. She has held visiting posts at various institutions, including the University of Bonn, where she was visiting Jean Monnet professor. Since 1993, she has co-taught and developed a course on comparative US and EU human rights law with Justice Anthony Kennedy of the US Supreme Court at the Salzburg Forum for International Studies. Her current projects include a monograph on European Human Rights law and she is also co-editing a Research Handbook on the European Union and Human Rights. Professor Douglas-Scott has also recently completed a monograph, Law After Modernity (publication date April, 2013) which explores at a more abstract level many of the issues of pluralism, justice and human rights also to be found in her work on the EU, and unusually, for a work of legal theory, is illustrated with various images and artistic works. 20% DISCOUNT PRICE: £40 / €52 / US$80Order Online in the USIf you would like to place an order you can do so through the Hart Publishing website (link below). To receive the discount please mention reference ‘FDDBLOG’ in the special instructions field. Please note that the discount will not be shown on your order but will be applied when your order is processed.